like HTML, images, scripts and more. difficult task to view the source code of any webpage in Safari on iPhone. Just follow this guide and see how it works. enable Safari Extension on your iOS devices. download “Source” extension from here which costs $0.99. want to view Source code. Share button in the toolbar. left and tap on More. the lots of options, Scroll down and enable the toggle switch of Source. Done at the top right corner to confirm. 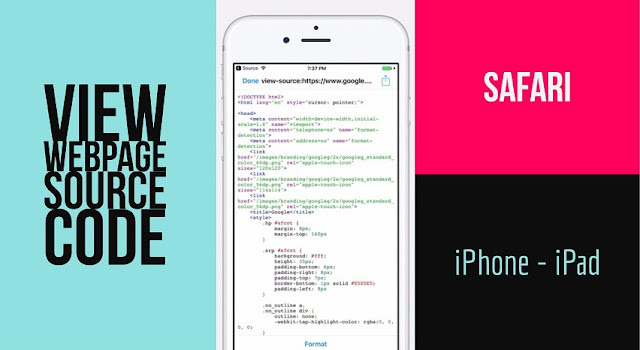 Webpage Source Code on iPhone and iPad using Safari. Safari on iPhone and iPad.